The outdoors scene in Chattanooga has a lot to offer. Hiking, rocking climbing, kayaking, hang gliding, biking, you name it, and you can probably find it here. We get a little sentimental every time we cross this bridge (see the video on the About page for why). For us, this is the most iconic landmark in Chattanooga, and we make sure we recommend all new visitors to give it a stroll - it's kind of a non-negotiable. 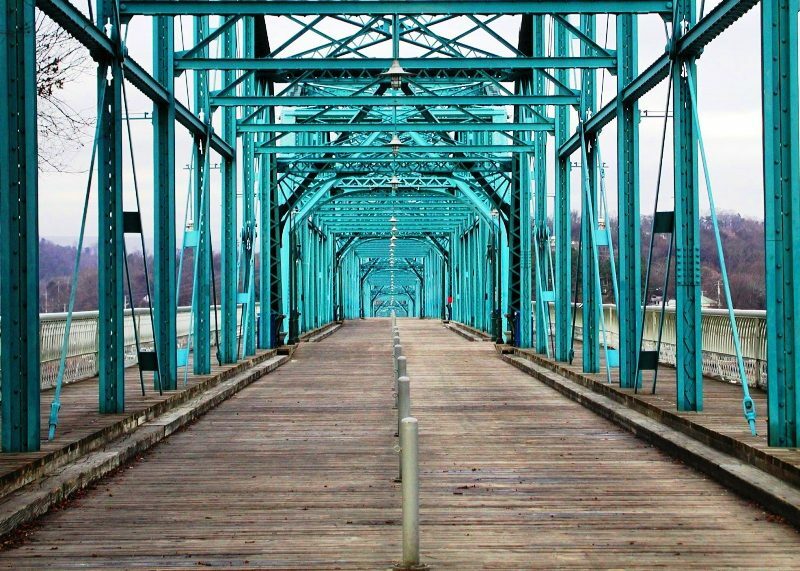 Whether you're biking, running, or just strolling along, you'll get the best 360 views of the city and come across all sorts of friendly Chattanoogans. Our favorite view of Chattanooga from atop historic Lookout Mountain. It is easily accessible (small parking lot and 3 minute, slightly rigorous walk) - also connects to some of Lookout's best hiking trails. And unlike other attractions on the mountain, it will not cost a penny. Check out Roots Rated, a Chattanooga-based startup, if you are into some serious hiking recommendations. Also, this link. Chattanooga is known for its exceptional outdoor rock climbing (again, for all things outdoors, check out Roots Rated), but this indoor facility located right in the middle of downtown is awesome. We are members and love seeing families with kids as young as three scaling walls. Ever wondered what it's like to soar over mountains in an avian-like fashion?? Hang gliding could be just for you. Lookout Mountain is one of the busiest spots for hang gliding, and if you've never gone before, you'll ride tandem with an experienced instructor - the experienced hang gliders literally run right off the edge of the mountain (it's a paved ramp, but still, the mountain edge). If you're coming to Chattanooga and don't know about the Aquarium, it is actually very legit for kids and adults alike. The penguins are my favorite. There's also an Imax. The Creative Discover Museum is also right downtown and SUPER fun for kids. Have older kids or want a cool date night? Blow some glass at iGNiS Glass Studio. Want a somewhat overwhelming, but much more exhaustive list of things to do? Click the button below.